Arya and Maddy trying to emulate Dhanush? 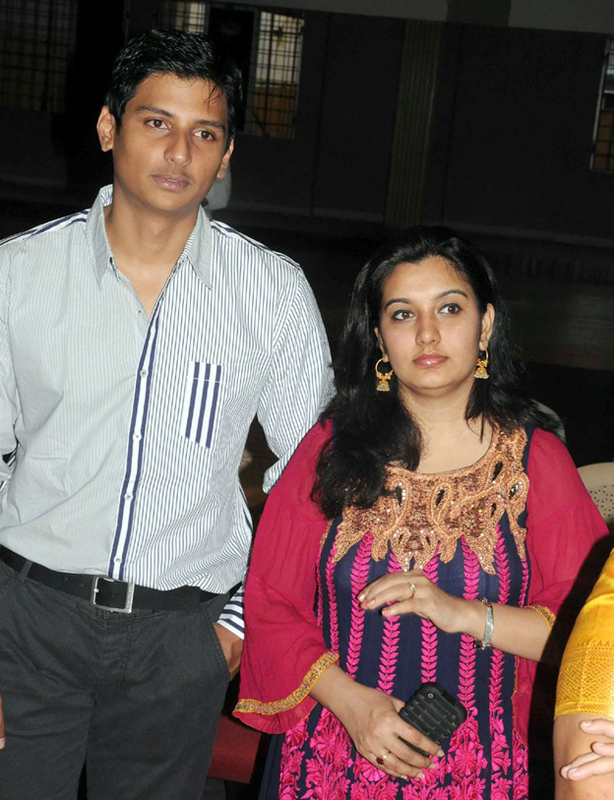 Nanban audio to be launched at Harris concert? December 12th, 2011 | Posted by TAMIL Lal in Mani Ratnam’s next film? The official promo video of a single from Vettai - Pappappa Pappa Pappappa was released yesterday. The music is by Yuvan Shankar Raja. 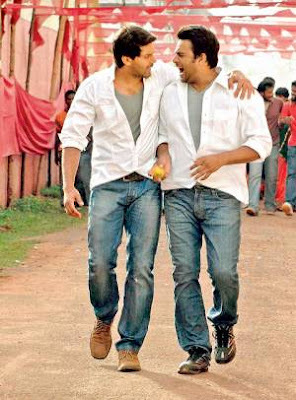 There is a positive buzz surrounding this song with the leading men, Arya and Madhavan raving about it and the rest of the team promoting it in a big way. Fans have been comparing the song to Kolaveri Di as the video is a little similar. It remains to be seen whether this track will make the same impact Kolaveri did. Dhanush's song is still sitting pretty on top of the charts and its popularity shows absolutely no sign of waning. With couple of movies produced by UTV Motion Pictures turning to be the remake of Hollywood movies, South Chief Dhananjayan has now assured that his upcoming movie 'Mugamoodi' isn't off that sort as director Mysskin has worked on a new and fresh script. The movie was launched yesterday morning at Santhome High School and the entire crew addressed the media channels during the lunch session. Speaking on the occasion, director Mysskin said that he worked on the script nearly for four years and it has come out really well. Jeeva on his part added that the previous night he had the dream of the film's trailer and he is so much involved in the movie. When asked whether the film is inspired from any Hollywood Super hero movies or Hindi films like Krish, Dhananjayan said, "I have gone through the script page by page and in no point I felt it to be an inspiration or replica of any other movies. I am sure after watching the film, you'll feel the same." The entire crew consisting of actor Jeeva, actress Pooja Hegde, actor Narain, music director K and almost everyone from the technical crew were present. It's full of entertainment and will serve as the best Christmas treat for the universal audiences. The Censor Board Committee had watched the film 'Raja Pattai' and have passed clean U certificate. Major portions of the film have been shot in Chennai with a song featuring Vikram, Shriya Charan and Reema Sen in Italy. The song 'Laddu Laddu' has already become a massive hit with Vikram coming up with a different style of rendition. Raja Pattai produced by PVP Cinemas will hit screens by third week of December. The film is reported of having so much commercial ingredients and most specifically, more importance has been emphasized on humor involving Vikram, Deeksha Seth and versatile director-actor K. Viswanath. The Kollywood grapevine is abuzz that Shankar's Vijay multi-starrer Nanban audio will be launched at Harris Jayaraj's `Harris On The Edge` concert in Coimbatore on December 24. There is no official confirmation from the producers of the film Gemini Film Circuit (GFC). Earlier it was rumoured that Nanban audio will be launched at a function in Chennai on December 14. Harris Jayaraj the music director of the film has completed all work and handed over the dart to Gemini Audio along with audio cover designed by Shankar. GFC will take a call on the venue and other details about the audio launch in a day or two. The chances of audio being launched in Coimbatore are bright as Harris will be there two days before his concert happens. The question is whether Shankar, Vijay and Nanban team will launch it at Harris concert or not or go for a separate function. Actor-director Lal (of the erstwhile duo of Siddque and Lal) has reportedly been offered a role in celebrated filmmaker Mani Ratnam's forthcoming project. According to sources, Lal was absolutely excited at the offer, but had to decline it as he is busy acting and directing his latest project Cobra, with Mammootty as the hero. But now, when the shooting of the Mani film got delayed, Lal has revived his hopes to be part of it. 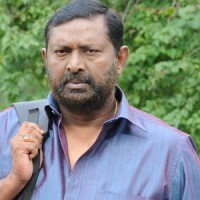 Lal has earlier done a few films like Deepavali in Tamil. He started off as a director and then went on to become a producer, distributor, studio owner and actor. He is much in demand as an actor, especially after the smashing success of Salt N' Pepper, in which he played a chronic bachelor who falls in love with Swetha Menon's character. The shooting of Cobra is going on at Chalakudy now and will be completed by January end, in two schedules. Lal is keen to be part of Mani's project and has been hoping that the change in schedules works to his advantage.